The Binding of Isaac: Rebirth designer, Edmund McMillen, has given some details on the new co-op feature in the game. Once the second player presses start, a random baby will materialize. 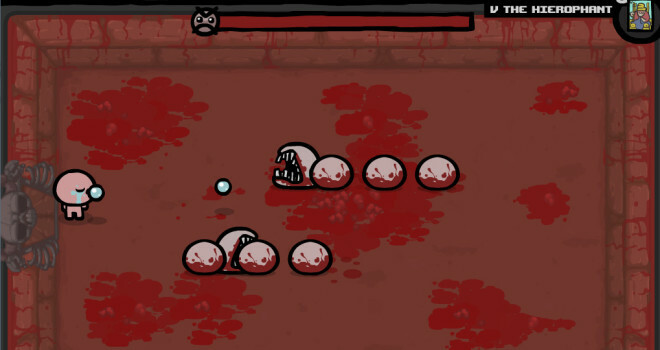 Spawning this baby will cost Issac (player 1) one heart container. The damage caused from the players’ attacks will be lowered in order to maintain the game’s balance. The second player will also be given all of the items that Issac had at the time of spawning. Whenever the first player uses an item, player two will as well. Player two will not be able to pick up items, however. There are some variables as well. The baby can come out as either a “special” baby, a “cursed” baby, or a baby that is tied to certain characters. Player two can leave at any time and return the heart to Issac, and come back into the game at any point as the same character. The Binding of Isaac: Rebirth is a remake of the original The Binding of Isaac and is expected to release this year for Playstation 4, Playstation Vita, Mac, PC, & Linux.